Although AC adapter seems to be not so important as CPU, it still have a great influence on the laptop computer. From the World Cup this time, we are with deep feeling of it. I’m going to pit the AC adapter for laptop against the defender for a football team. Especially when they come across powerful opponents, his importance is obvious. AC adapter performs by transmit the mains supply to dominant power which is set by certain laptop models. It can be seen that the gap between these two power values are large. 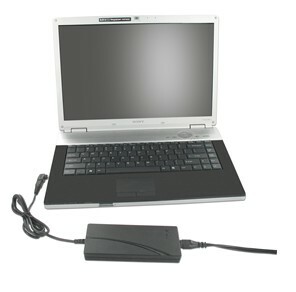 Without the adapter, laptop computer will suffer from overvoltage which may cause serious accidents. In a football team, defender works hard to wind up opponents so as to help the whole team to struggle for victory in the end. Obviously, especially it occurs to be a powerful opponent, defenders often face great challenges in games. So is AC adapter. When in use, it is the hottest accessory for the computer. Even the slim laptop power cord cannot be ignored by us. Damage in every corner or the cord may lead to poor contact of power or even power failure. If so, the computer can no longer work well as usual. Even if a replacement is available, it still needs to check and activate, which costs you a lot of time. Compatibility, performance, capacity and other related factors are necessary to consider before replacing. In World Cup, there’re many good star defenders while only a few are the suitable one, he who serves well for the whole team is the best one. Furthermore, just like football players need health care and physical training before games, AC adapter still needs to a good maintenance and calibration. Otherwise, it won’t produce the best possible results. We can’t help to take a new look at the AC adapter and its function. After all, the lesson from the World Cup has provided us a lot. The same as the defender, at a crucial time, ac adapter for laptop seems to be more important.